Susan is the North American Vice President of IBM's Channel Sales Team for the Systems Group. She leads a team of Server and Storage evangelists and sales professionals who focus on the channel market penetration of the IBM infrastructure solutions. 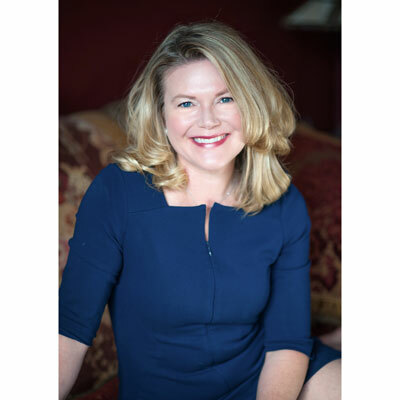 Susan has over 20 years of experience in sales, marketing, business development, alliances, and channels in Mainframe, Power, Storage, x86 and converged infrastructure solutions. She has industry specific experience in the Public Sector, specifically pharmaceutical, healthcare and state & local clients. Susan is a native of the Finger Lakes region in New York State and has a Bachelor of Science in Management from the University of Buffalo. She is happily married to her college sweetheart Daryl, and they have two Bernese Mountain Dogs. Susan currently lives in the Philadelphia suburbs. She enjoys traveling the globe, cooking and running. Our company is on a transformational journey, pivoting our focus to the competitive value of data, beyond traditional analytics to the use of Artificial Intelligence and Cognitive Computing. As we pivot, we want our channel partners to pivot with us with reach and scale. We need to provide the knowledge, the business case(s), and the tools which will jointly propel all of us forward. This endeavor has been my mission since joining the IBM channel team in 2016. To first understand my partner's business today, then if and how they can pivot with us. As importantly, if we have partners whose business models do not support this shift today, how do we continue to work towards a mutually beneficial common ground? How I've personally taken on this challenge is to encourage, and in some cases, demand, open dialog and collaboration within my company and with our partners and distributors around how we serve them better as it relates to these advanced technologies. Where are we hitting the mark with offerings, enablement, programs? Where are we missing the mark, and how can we improve? Integrity is a critical element of success for any channel business. While typically we get good marks from our partners and distributors in this area, there is always room for improvement. I feel that I am a steward of maintaining and enhancing our integrity with our partners and distributors. In the face of tremendous competitive pressure, especially as we move to refocus our efforts with Artificial Intelligence, Cloud, Social, it is my goal to be progressive, yet while maintaining the heritage of what our channel business represents. In August 2017, I was honored to accept on behalf of my channel team the award for the Enterprise Network Storage partnership sub-category in CRN's 2017 Annual Report Card (ARC) awards program. http://businesspartnervoices.com/ibm-wins-the-crn-arc-award-again/ One of the most competitive areas of our business is storage, so to be awarded this category was an immense honor. It also incents our team double down with our partners to earn their votes and approval to be recognized in again 2018! Condoleezza Rice strikes me as the Renaissance woman of our times. While difficult to net down all her accomplishments in broad categories, I feel she is intensely intelligent, a consummate negotiator, a talented pianist, a sportswoman (one of two women to be admitted into Augusta), and a prolific writer. I find her to be an inspiration on many fronts. While I was an avid student in high school, and absolutely loved to play soccer, I hated the running drills that we did daily in practice. In my 30's I found my legs and realized how much I absolutely loved to run, and how running was not only great for my overall health, it also is a wonderful stress reliever! I've been a late bloomer with running, which I regret, but have run two Half Marathons, four 10Ks, and countless 5Ks. I recently joined a local running club which is really pushing my limits but also personally rewarding. Being in the Tech Industry gives me bountiful opportunity to learn new things. In 2018 I will be honing my skills in at least two areas: Blockchain/Crypto Currency, and Quantum Computing. While both are relative newcomers from a commercial perspective, I believe that both will change the world we live in as personal consumers and IT professionals. The Upside of Stress, by Kelly McGonigal, Ph.D., was one of my favorite reads this past year. The author was masterful at marrying the science of the various stress reactions with anecdotal personal stories. She demonstrated how changing your perception of stress can not only change your reaction/response, but also your biological ability to cope in the moment, while hardening your long-term effective ability to react/respond in the future.